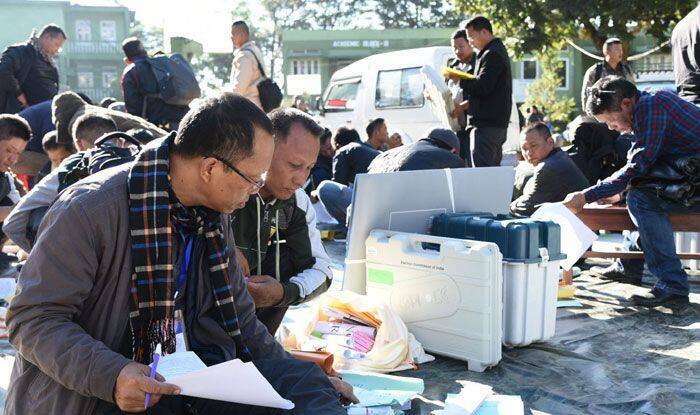 Election to the Mizoram Lok Sabha seat will be held on Thursday and 141 polling parties on Tuesday left for far-flung polling stations from respective district headquarters. Mizoram Chief Electoral Officer Ashish Kundra on Tuesday said 4,409 security personnel including 12 companies of Central Armed Police Force (CAPF) would be deployed for the election to the lone Lok Sabha seat in the state. Election to the Mizoram Lok Sabha seat will be held on Thursday and 141 polling parties on Tuesday left for far-flung polling stations from respective district headquarters. “We have asked the district deputy commissioners to alert the state PWD and BRO officials as also private contractors and private owners of excavators to ensure clearing of roads so that there would be no delays of the movements of polling parties due to landslides triggered by rainfall,” the CEO said.